Our un-sliced side serves approximately 12-15 people as a generous starter. 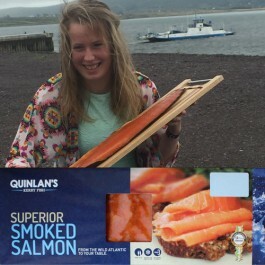 Perfect for those who prefer the succulent flavour of a whole side of smoked salmon and enjoy slicing it yourself. 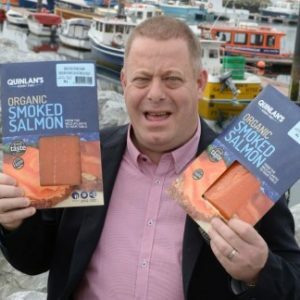 Winner of 2 gold stars in the Guild of Fine Food’s Great Taste Awards 2014, a side of Wild Irish smoked salmon makes a wonderful gourmet gift. 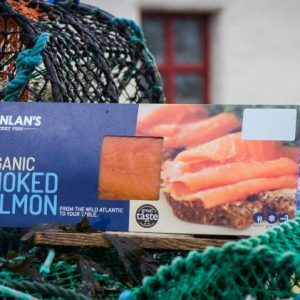 Ingredients: Wild Irish Atlantic salmon, salt, oak smoke., 1200g-1400g.